A medium size east to west brim, measuring 38cm from side to side and 35cm from front to back, but allow an extra couple of centimetres all around due to the "feather overhang" ! 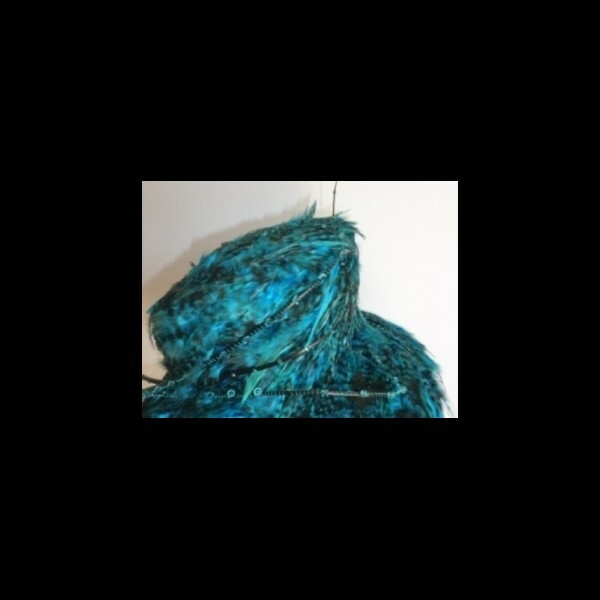 The crown and the brim are completely covered in layers and layers of beautiful saddle hackle feathers in a striking deep turquoise blue with black markings. To the front and curling up one side of the hat are three black quills. 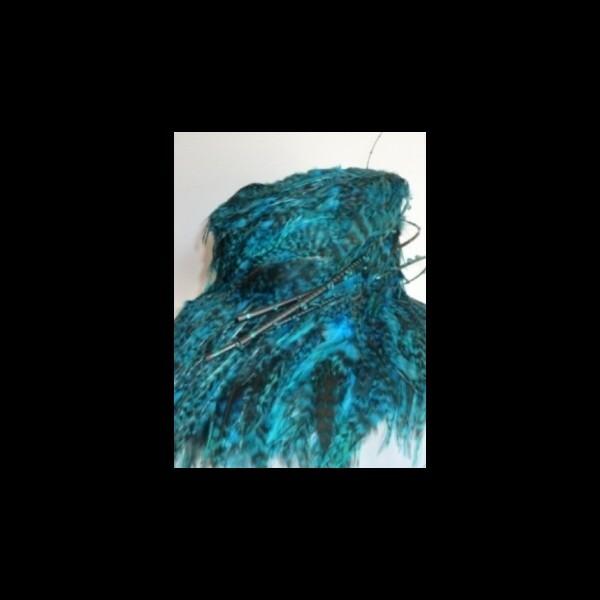 Two of the quills are wrapped in turquoise wire with Swarovski bicone beads in Blue Zircon. 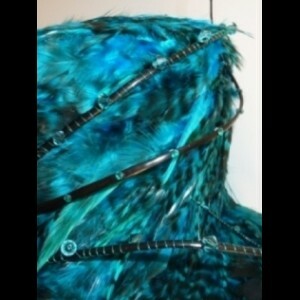 The remaining quill has Blue Zircon Swarovski crystals. This hat is one of our "Grandiose" range and has been made to fit a 59cm head. 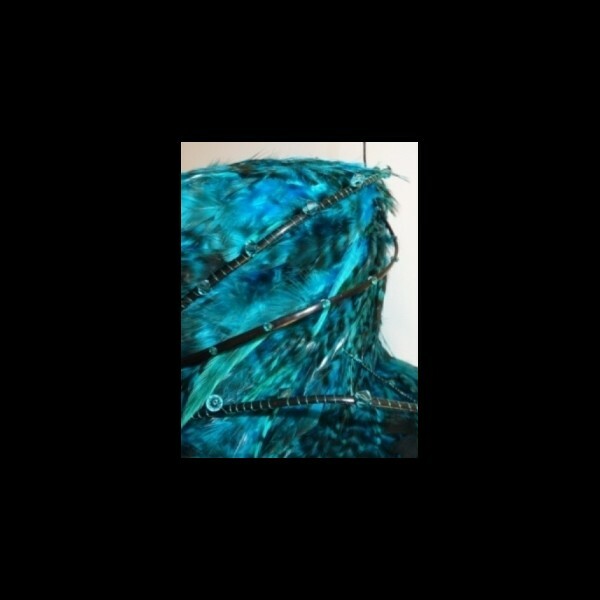 Feather sample available for colour matching. This hat is also available in the Grandiose range in Purple. The price quoted (£55) is for the hire of the hat - please see our terms & conditions of hire.